This March the American Heart Association will host Greater Cincinnati’s two top fundraising events: the Heart Mini Marathon & Walk and the Heart Ball. The Heart Ball is first on deck on March 2, quickly followed by the Heart Mini on March 10. The Heart Mini has held the top spot for Cincinnati’s largest single-day fundraising event for the past several years and will celebrate its 42nd year in downtown Cincinnati. The traditional first big race of the year, the Heart Mini is co-chaired by Chris Habel of Mt. Lookout. Chris, member-in-charge at Frost Brown Todd is sharing the chairmanship role with Dan Poston of Worldpay, Inc., who resides in Green Township. Chris is passionate about the work of the American Heart Association (AHA) because of his personal connection to heart disease. Chris credits his father Bob’s recovery to medication, exercise, changes in diet, regular visits to the cardiologist and a few minor heart procedures. Bob, a retired architect who grew up on the west side, has lived in Hyde Park his entire adult life and walked thousands of miles in the neighborhood in the almost three decades since his heart incident. “If you see an older guy wearing a purple Elder High School hat or sweatshirt on Hyde Park Square, he’s not lost. That’s my dad keeping his heart healthy on his daily walk,” Chris said. Each year, the Heart Mini raises over $3 million dollars for the American Heart Association. A large portion of those dollars raised goes to local research at the University of Cincinnati and Cincinnati Children’s. 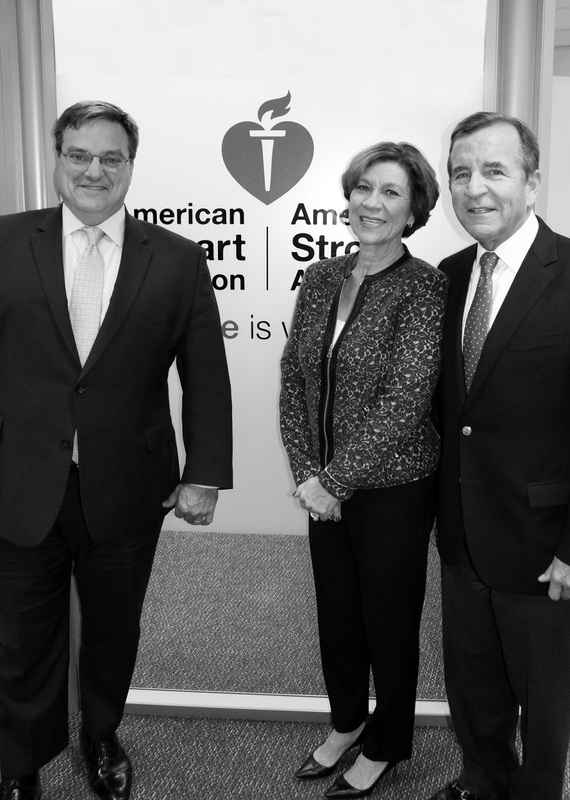 The AHA is currently funding nearly $7 million dollars in local active research programs. These programs could lead to the next big breakthrough in heart and stroke care, technology and treatment. The Heart Mini draws nearly 30,000 runners and walkers to downtown Cincinnati. There is an event for all ages and fitness levels, including a half marathon, 15K and 5K runs, a 1K Steps for Stroke, a 2K kids run and 5K walk. It begins with a Health & Fitness Expo on Saturday, March 9th and ends with a fun after party on Sunday. Check. Change. Control has been implemented in several businesses, including Fifth Third, Ohio National Financial Services and Cincinnati Bell. The program encourages participants to get regular blood pressure readings and make lifestyle adjustments as needed. This year’s Heart Mini is presented by Medpace and Mercy Health. Registration is available at heartmini.org. 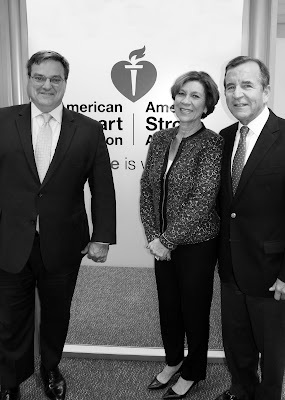 Chris Habel is not the only eastsider to take a leadership role in the American Heart Association. Mark and Karen Jahnke, also of Mt. Lookout are co-chairing the 26th annual Heart Ball, themed Young at Heart. The Jahnkes became involved with the Heart Ball because of their passion for children’s issues, and this year’s Heart Ball will focus on pediatric cardiac health, care and treatment. Mark, President of Katz Teller, serves as Vice Chair of the board at Cincinnati Children’s, which has given him firsthand knowledge about the importance of pediatric cardiac care and how cutting-edge technology and research has saved millions of children. Karen Janhke shares her husband’s passion for children. She serves on several boards, including Childhood Food Solutions, Teach for America and St Ursula Villa. Although much of the funds raised through the Heart Ball goes to research, the Heart Ball also makes community youth events possible throughout the year. Thanks to the support Cincinnati Children’s and the Cincinnati Bengals, each year the American Heart Association presents Recess in the Stadium. This free educational event, held at Paul Brown Stadium, teaches children and their families the importance of being heart healthy at an early age. Kids get free health screenings, learn hands-only CPR, learn how the heart works by touching a real cow heart, play a variety of games of the Bengals field and visit interactive activity stations. Another important grassroots event is Fit 4 Life Bootcamp, a partnership with TriHealth, the Cincinnati Reds and the Boys and Girls Clubs of Greater Cincinnati. A fun day of healthy activities offers kids the opportunity to learn about nutrition and healthy eating habits, take a Zumba class, participate in games and learn the lifesaving skill, hands-only CPR. The Heart Ball is co-presented by TriHealth and St. Elizabeth Healthcare. In addition to co-chairs, Mark and Karen Janhke, other committee chairs include David and Kathy Cassady, Open Your Heart Chairs; Marci Campbell, Auction Chair and Barrett Buse and Caroline Wendling, After Party Co-Chairs. The Heart Ball will honor the Fisher family with the Heart of the City Award for their philanthropic, commercial and health care contributions to the community. This is the first time the Fishers: Roberta Fisher, Arna and Bobby Fisher, Suzette and Michael Fisher, Evelyn and Marc Fisher and Stacey and David Fisher have been recognized together for their collective impact in Greater Cincinnati. Tickets for the Heart Ball are $500 per person. The Heart Ball evening includes live and silent auctions, elegant gourmet dinner, live entertainment and ends with dancing at a Young Professionals’ After Party. For more information about the Heart Ball, contact Pam Schramm at the American Heart Association, 513-699-4214 or pam.schramm@heart.org.